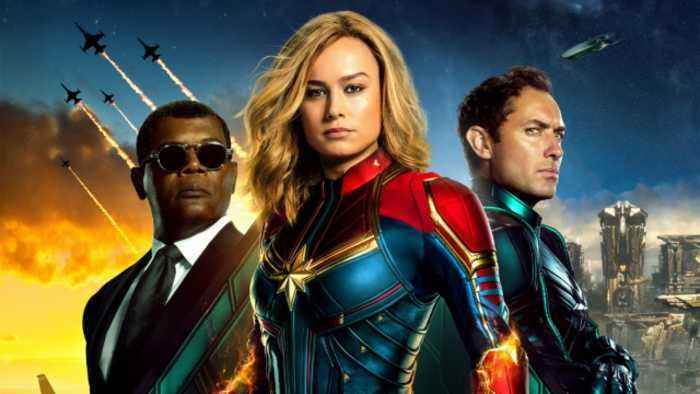 Weeks before its release, "Captain Marvel" was the lowest-rated Marvel film on Rotten Tomatoes. The reviews weren't actually reviews. Say you're thinking about seeing a movie. Watch a trailer, check out who's in it — and if you really need help making a decision — read a couple reviews. That's a pretty solid plan, but what happens if the reviews are disingenuous? Would you be able to tell real critics from... trolls? That's a problem Rotten Tomatoes — a popular site for reviews — is trying to solve, and it's facing major scrutiny after the film "Captain Marvel" was hit with a slew of malicious comments from angry fans. Nearly two weeks before its release, it was the lowest-rated Marvel film on the site. Before we get into those specific controversies, let's explain what happened: "Captain Marvel" got "review bombed." Originally rooted in the gaming community, " review bombing " is when large groups of people target pieces of media, and leave negative reviews with the intent of harming sales. Very rarely do the malicious comments have anything to do with the piece of media being reviewed, and more often than not, the anger stems from an outside issue. In the case of "Captain Marvel," fans were angry about lead actress Brie Larson's comments about inclusivity and diversity . Past movies to get hit with targeted reviews include "Black Panther," "Star Wars: The Last Jedi," and even "Star Wars: Episode IX" — before it had an official title, much less a film to actually review. With "The Last Jedi," hackers went so far as to deploy bots to bring down the film's audience score, because they were angry about "Disney's Treatment of Franchises and Fanboys." Beyond movies, platforms like Steam and Metacritic have had to deal with review bombings of video games. In 2011, the latter site banned multiple user groups after facing its own barrage of targeted, malicious reviews. In a recent blog post , Rotten Tomatoes described its issue as To combat the review bombs, the website announced it would disable audience comments for movies that haven't yet been released, as well as more closely moderate for hateful comments overall. Some outlets have called Rotten Tomatoes' move "very logical" and " long overdue ," but other critics argue it could "foster a negative environment for fandom" and possibly embolden angry fans even more. Because of that, it's unlikely Rotten Tomatoes' actions will actually solve the issue of review bombing — and at the end of the day, movies like "Captain Marvel" are going to continue coming out. The film's ticket presales have already outpaced "Wonder Woman," which was one of the top-grossing films of 2017 . 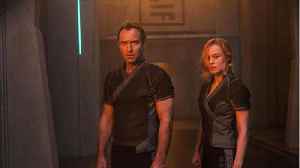 Three days before its national release, " Captain Marvel " has an 86 percent critical score on Rotten Tomatoes and a 68 percent score on Metacritic . "Captain Marvel" is being attacked online. According to Comicbook.com, on Sunday morning of the film's opening weekend, the audience score on Rotten was at 55%. The film's critical response on Rotten..